All Cresson homes currently listed for sale in Cresson as of 04/26/2019 are shown below. You can change the search criteria at any time by pressing the 'Change Search' button below. If you have any questions or you would like more information about any Cresson homes for sale or other Cresson real estate, please contact us and one of our knowledgeable Cresson REALTORS® would be pleased to assist you. "Gorgeous Property that Removes you from busy life to provide you with your own piece of Heaven!! This 115+ acre property has 50+ acres of Coastal graze land for your cattle. A running creek with year around water and pond. Keep the 4,100sq.ft home for yourself or build fresh atop the large hill overlooking the property. Whether you wish to Develop the land for future residential or commercial use or make it your ideal farm home this property promises to deliver. 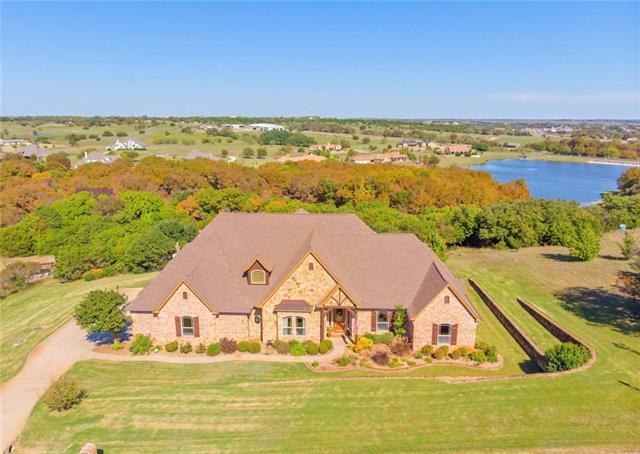 The turkey, dove, deer and hog"
"Absolutely stunning home in exclusive gated neighborhood convenient to Fort Worth. One of the only lots in the community that has lake views and access to a year-round creek. Open floorplan, gourmet kitchen with gas range, custom knotty alder cabinetry. Breakfast area features a stone nook that has even more cabinetry. This home has no shortage of entertainment space. 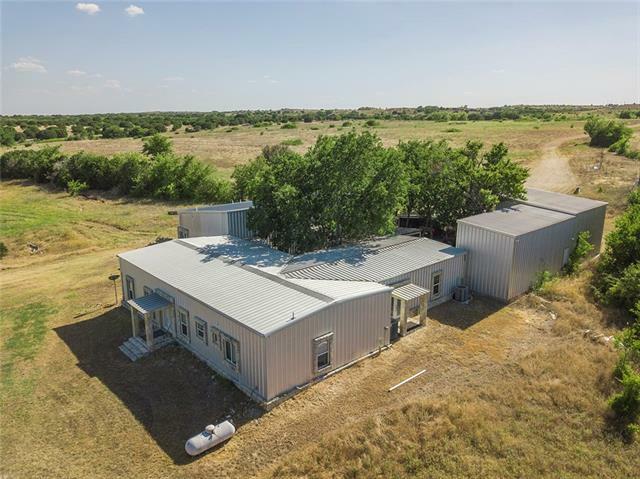 The second story features a huge game room with wet bar and large covered balc"
"You ll love this charming, 1-story home with peaceful countryside settings in Cresson Texas. This 3 bedroom, 3 bathroom home with a 3-stall garage will give you 2,565 sq ft of generous space to move about (without losing that quaint, cozy atmosphere when it's time to cuddle up by the fireplace with a good book). Wake up each morning to awe-inspiring sunrises in the East and drift off to sleep each night with the tranquil sounds of nature. 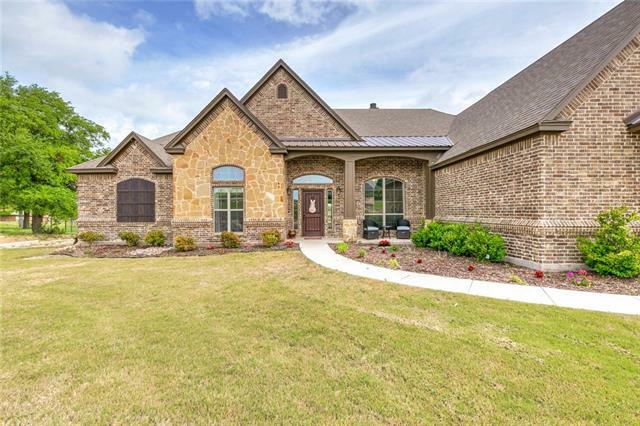 Situated in a friendly community on the outskirts of Ho"
"Beautiful custom home in a quiet neighborhood just minutes from I-20 or Granbury! 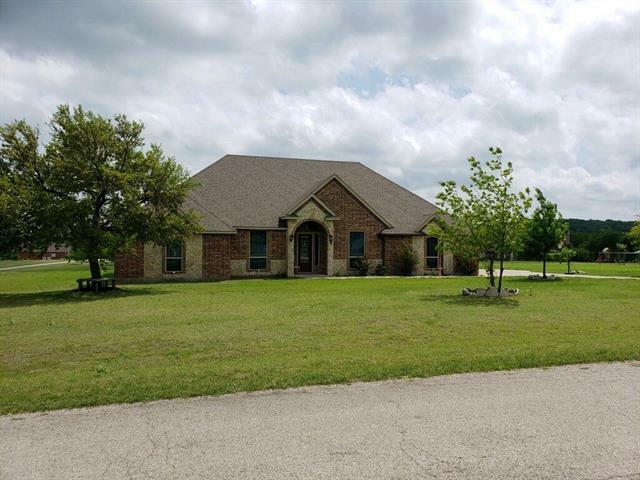 Home features 4 BR, 3 BA, 2 LR's, 2 dining areas, 3 car garage on 1 acre. Large master suite split from the other bedrooms, all with large closets. 2nd living could easily double as a 5th bedroom if needed. Beautiful crown molding, gorgeous cabinets and trim work, large kitchen pantry, center island, dishwasher, double ovens, and cooktop. Lots of room behind the house which draws you outside to gather around the fi"